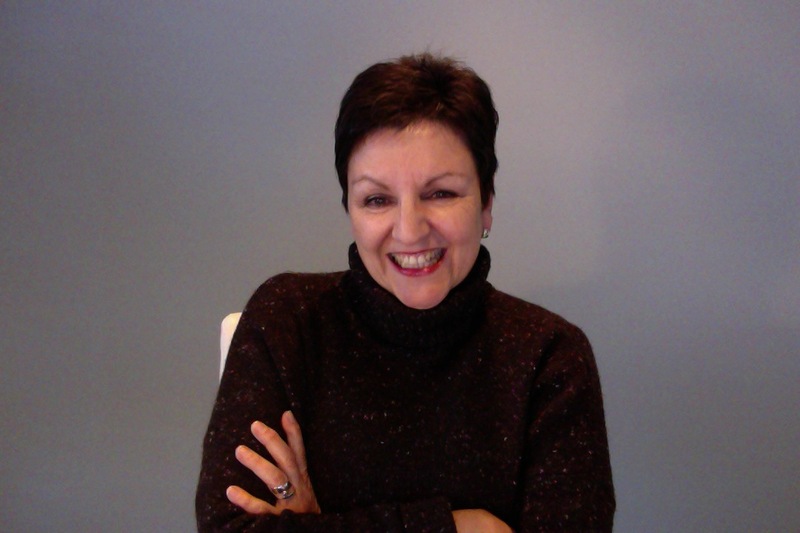 Nene Davies, a member of the Victoria Point Writers Group in Queensland is enjoying the exhilaration of having her first novel Distance accepted for publication and is here to tell us about the experience. 1. How did you receive the news that your novel was accepted and what did it feel like? I had an e-mail from digital publishers Really Blue Books letting me know that my manuscript had been accepted for publication. I was almost too scared to read the e-mail, so my daughter began to read it aloud, over my shoulder. She got as far as ‘Congratulations…’ when we both jumped up and started dancing round the kitchen, shrieking! I was absolutely bowled over and I’m still in shock I think! 2. You chose the digital publication route and to submit to a new publisher. What led you to take that path? I chose the digital publication route for a number of reasons: I had sent an early draft of my novel to a couple of traditional publishers who open their doors to new authors from time to time, but clearly never got past the slush pile as I didn’t hear from them at all! In the meantime, I was noticing the rise and rise of e-books and the more articles I read about the whole e-book phenomena, the more attractive an option it seemed. The rate at which digital publishing has exploded is astonishing and whilst I would love to see my novel in hard copy too one day, I really feel that publishing electronically is the best way forward for me. I came across Really Blue Books on social media and had a look at their website. They seemed quite different from other publishers that I’d researched, with their optimistic outlook and fresh approach. I was drawn to the friendly nature of their website and noticed that they are an Australian publisher with an interest in supporting Australian authors. Plus, they are a relatively new publisher, at the forefront of digital publishing. All of these things inspired me to pluck up the courage to approach them with my manuscript. 3. How long did it take from your first contact with Really Blue Books until you had a decision? It took six months from my initial approach, to signing a contract. During that time, the publisher asked me to revise the length of the novel and this work took me about four weeks to complete. 4. What has happened since acceptance and what is mapped out for the next few months and beyond? I received my e-mail of acceptance in the first week of January 2013 so it’s only been a matter of a few weeks. I have been advised that an editor will work with me on the manuscript to get it polished to a publishable standard and that publication itself will be in May of this year. In the meantime, I am working on the marketing side of things. Really Blue Books encourages authors to participate as much as they are able, in the promotion of their work so I am gathering ideas and approaching people regarding book launches etc. A local business has kindly offered to host a launch for me and my local council will include Distance in their e-book catalogue. I have been asked if I’d like to participate on an author panel at the library too – and of course, I said yes please! 5. Tell us in a paragraph what your book Distance is about. Ten years ago, I emigrated to Australia with my husband and children and the idea for the novel is loosely based on our own experiences, though it is definitely not a word-for-word account. Distance is the story of an ordinary family from rural Wales, who face an unforeseen crisis, which eventually results in them having the opportunity to realise a long-held dream of emigrating to Australia. The grandmother in the story totally opposes the idea, refuses to join the family and pulls out all the emotional stops to prevent them leaving. Her daughter has to decide whether to go to Australia and risk losing her mother or stay, and risk losing her marriage. 6. What part of working on the story did you find most challenging? The editing! Since I’m a rambler/waffler/chatty type, I found it very tricky to revise the length of the novel by some 25,000 words. I gave myself a month and was able to complete the work in that time. Also, as with any submission, waiting for a response from a publisher is like watching a drop of treacle spread over an entire dinner plate! It was agonising, but I do understand that it’s all part of the process. 7. When will we be able to buy Distance? And how will we know when it is available? Really Blue Books website and through various outlets including Amazon, Google Play, Kobo and Firsty Fish. 8. Is there another novel in progress? A sequel to Distance is forming in my mind, but I have yet to commit it to paper. I’m looking forward to really getting stuck into the new project once Distance is out in the big wide world! 9. Tell us about any other creative projects on the drawing board. I love writing short stories and have recently completed a couple for possible inclusion in a forthcoming anthology of Twisted Tales by Victoria Point Writers Group. Last year, Victoria Point Writers wrote and e-published Ten Minute Tales on Smashwords as a free download and we’ve had a terrific response. This has encouraged us to write another one! Also last year, I had a short story, Day One published digitally and in hard copy, by Writers Abroad as part of the Foreign Encounters anthology. Narrator Australia included my short story, Miss Understood on their website and in hard copy in the Narrator Australia anthology, and my story Santa’s Helper Helps Herself appeared on the ABC Open website. Disasters: Back on air after a time without internet or telephone. It certainly felt quite odd and isolating, but of course could not compare with the real isolation and concerns of those in the east and north of this enormous country who have been coping with cyclones, tornadoes, floods; and those in the south and west affected by raging bushfires. In all of those places there were property and stock losses and thousands were evacuated to safety. Many places were officially declared disaster areas. Sadly some lives were also lost. State Emergency Services, councils, police, fire services, the army, Red Cross, NGOs, many other community services, and thousands volunteers did a colossal job and are still supporting communities. Large numbers of people were airlifted by helicopter from roofs. We are so lucky in this country to have the resources to help. A copyright lesson: For many months as I’ve been editing my novel Past imperfect there’s been a small niggle that I should check out some minor quotations for copyright to see if permissions were needed. The usages were no more than a line or two from a poem and the same from a lyric, both from many years ago – a Bible quote and some words from a Robert Burns grace. So eventually I started to check on my own account and was daunted to find that material I expected to be ‘out of copyright’ might not be so because of estate clauses. Due to uncertainty I searched for informed sources and eventually found the Australian Copyright Council’s website [www.copyright.org.au] and its range of clear and useful Information Sheets. This service provides a preliminary free service for artists of various kinds. Within days of my online enquiry the response advised that permissions would be needed for two of my quotes, and included helpful follow-up information. When I took the next steps it was clear that I would need to supply substantial details for consideration of my request. As it all seemed quite onerous with potential time delays and a possible cost, I decided to rewrite those parts of the manuscript instead given that I did not feel the significance of the contribution to my work rated the effort. The quotes would have been nice to have but not essential and did not add to my work [only acted as literary confirmation for the experience of my characters]. In my judgement I would have been highlighting the works which in theory might have interested people enough to borrow or buy the original sources and thus add to the value of the estate. An interesting and salutary experience. So unless the work of others is essential to my own writing I will forgo any thought of use in future OR do all the necessary enquiries at an early stage. At least I can now finish the editing and new writing with an easy mind. Writing colleagues: Last week started our Writers Group year of critiquing. It was good to be together again and the discussion was lively. A few of us experienced minor climate induced inconveniences – loss of power, internet, phone, rain leaks and collapse of ceilings. Annoying but hardly rating in the scheme of other people’s concerns. One of our members, Nene has had another success – she will have a poem included in an anthology later in the year. More about that when she has more detail. Also I will shortly be featuring Nene in an author interview for this blog.